Working on your own is always challenging. You never know what can happen. From the small things such as when clients cancel the appointment or you got sick and out of the business for some time to the really big problems. 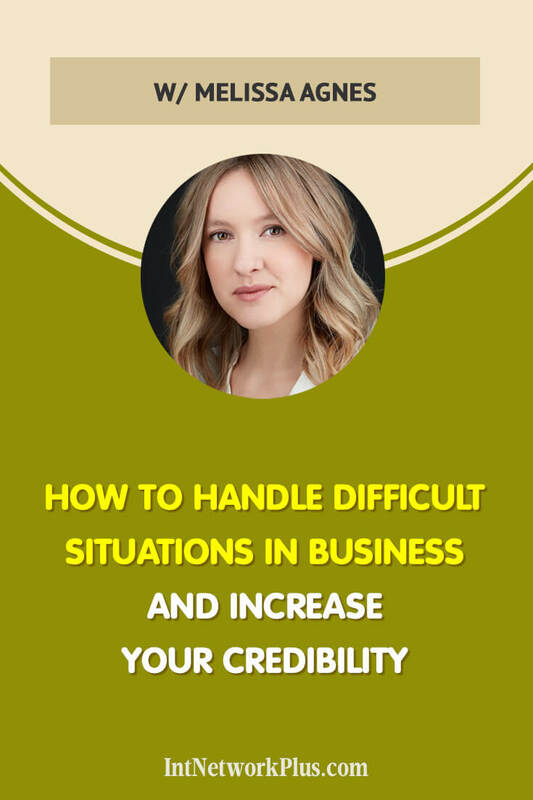 In this episode, Melissa Agnes shares how to handle difficult situations in business and increase your credibility. Author of Crisis Ready: Building an Invincible Brand in an Uncertain World, Melissa is a leading authority on crisis preparedness, reputation management, and brand protection. She is a coveted speaker, commentator, and advisor to some of today’s leading organizations faced with the greatest risks. 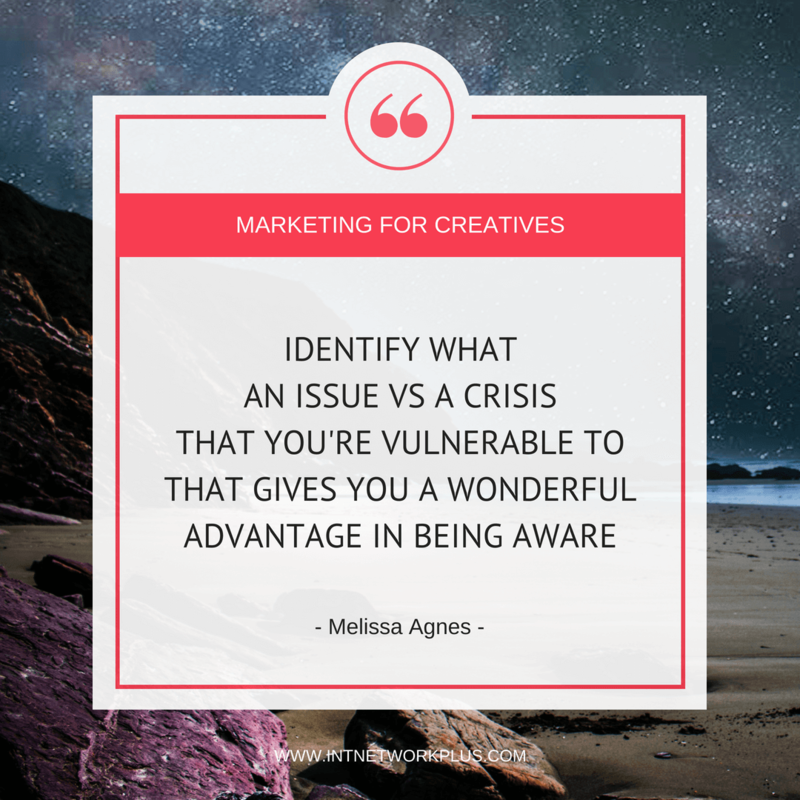 Melissa is the editor of the Crisis Ready Blog, a contributor to Forbes, and a go-to source for the press, with recent coverage including the Wall Street Journal, VIBE Magazine, USA Today, and many others. [16:07] To get ready to the difficult situations ask yourself the questions: What can happen? And what would you do in those situations? [22:11] Understand what people are matter for your business. If something could happen how could you maintain those relationships? To be ready for difficult situations think about the possible circumstances that can happen in your business, such as you can get sick or the salesperson suddenly quit and what you can do now to be ready for them. It’s good to have you here. Melissa, please share with us your entrepreneurial story. My entrepreneurial story. Okay, so I’ve been an entrepreneur my entire adult life since I was 21. I found my way I suppose through different means, but how I started being in crisis management was at the time about almost a decade ago. About eight years ago or nine years ago. 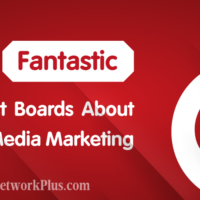 I was doing brand strategy, social media marketing, developing websites for clients, their online strategy, basically. Their digital strategy. Right at the time where brands were beginning to realize that they needed to be on social, that this was a tool that they wanted to use. The way that my brain works is naturally is that I see a risk. I see risk everywhere. I see how to mitigate risk and then I see the opportunity in the mitigation. I remember one morning sitting, I was doing some reading, catching up on the latest trends and stuff for social and it struck me all of the risk involved with social media for brands with two-way communication, the 24-hour news cycle and all of these different things. Then it struck me that we could mitigate that risk and then the opportunity through that mitigation because that’s the way that my brain works. That kind of just triggered something inside me and I didn’t understand at the time when nobody was talking about it. The more I dug, the more I searched, I realized nobody was talking about it, nobody was addressing it, nobody was preparing themselves for it or mitigating it or finding the opportunities. It kind of just sparked something in me. For the next year, I devoured everything that I could on the subject of crisis management. Because before that day, I didn’t know that it existed. It kind of opened my mind to it or opened my eyes to it. Love as luck would have it. About a year after of my studies, quote-unquote my personal studies, I had a client, they were a real estate investment trust. They invest in real estate. They’re a public company. The VP called me very early one morning in a panic saying that their president was in the car with a prospective investor. The radio was reporting that one of their buildings was about to explode. It wasn’t true. Apparently, the rumor started on Twitter. They had no idea what Twitter was, but investors we’re calling in concerned and they learned that Twitter was a digital thing and since we had just launched their website, they thought to call me. Lucky for them. Because I went in within a half an hour. I had the media correcting themselves. I had investors getting access to the right information because they weren’t going to Twitter even though the whole situation was unfolding on Twitter. It was in that moment that kind of my intuition was confirmed where I realized that companies really need this. Maybe they don’t realize that they need it yet, but they do need it. And I looked at, I had a business partner at the time and I said, “I want to do this, I want to jump.” So he jumped with me. The way that I started was I launched a blog. I was a young entrepreneur. I didn’t have a lot of budgets, so I blogged about it because nobody was talking about it. I dedicated myself to blogging five days a week for a few years and I got my ideas out there. I started raising questions that people were aligning with resonating with, started putting out my strategies and my thoughts and concepts towards it. Right place, right time. That was the beginning of this lifetime of this career. How did you blog every day five days a week? I asked myself, actually, I was talking to somebody last week and I asked myself that same question. I think it was… I was starting out so I had some clients but they didn’t keep me fully, fully busy. And then you get into a routine. I’m also kind of a crazy workaholic person. I work seven days a week. So, I managed. Somehow, I managed. So, you consider yourself an optimistic person or a pessimistic person because you focus on the crisis? Oh, I am definitely an optimistic person. Also, a realist. I have cavity or pessimism. So that’s not in my lens. But I see like I said, I see risk, I see how to mitigate risk and then I see the opportunity in the mitigation. A crisis isn’t a positive thing. 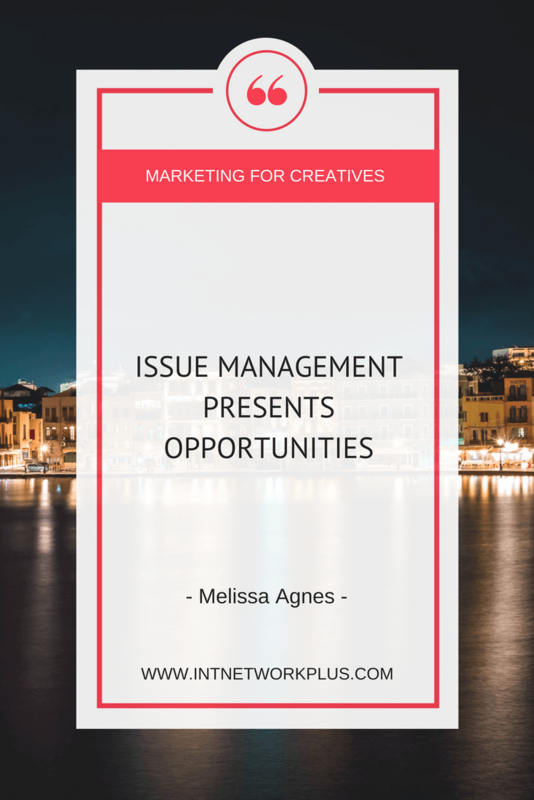 Issue management presents opportunities. A crisis is a little bit more severe and impactful. But the whole concept of being crisis ready is that negative events don’t happen to the organization because you are crisis ready. If they do happen because some things are beyond our control, then you and your team, no matter whether you’re a team of one or a team of five or a team of 5,000, your team understands what risk looks like in real time, how to detect it, how to assess it, it’s material impact on the organization. And then how to respond in a way that doesn’t just manage the incident but actually manages it in a way that builds trust and credibility in the brand. So that’s where I see the positive. 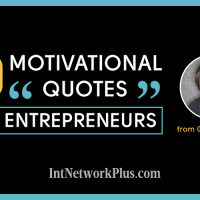 You are kind of representative of our audience too because we have a lot of entrepreneurs who work on their own. And when you started out, what difficulties did you face there and how did you handle them? People didn’t realize they didn’t grasp the reality of it and the fact that it could, in fact, happen to them. It’s only now that brands are starting to really, really wake up and see it as a pertinent factor of business. And we were eight, nine years later. The way that I overcame that was through my collaborations and through my partnerships, helping other longstanding professionals with great client lists. Helping their clients. That gave me mentors, amazing, beautiful mentors. It gave me experience, it gave me clients and it allowed me to… Now I’m not just focused on digital, digital is one aspect of crisis preparedness and issue management. It’s an important aspect, but it’s one aspect of a bigger picture. It gave me experience and it gave me just all kinds of… it gave me money I could live. That was my biggest challenge I think in this field and that was my strategy for overcoming it. It was through collaborations. You talk a lot about a crisis and being crisis ready. To which situations should we be ready as small business owners or as entrepreneurs? No matter the size of your organization, of your business or no matter its industry, we all, whether you’re a solopreneur or a small business, right through to the large organizations that are global fortune 500, there are a series of high risk scenarios whether it’s issue or crisis that present a risk, really big risk to the organization. When I say high-risk scenarios, I mean high impact, most likely types of negative events and strike the business. Or to strike you as a solopreneur. What happens if God forbid, knock on wood that you fall ill and you can’t work or your family member falls ill, there are high-risk scenarios, no matter what our business is, no matter the size, no matter its industry. 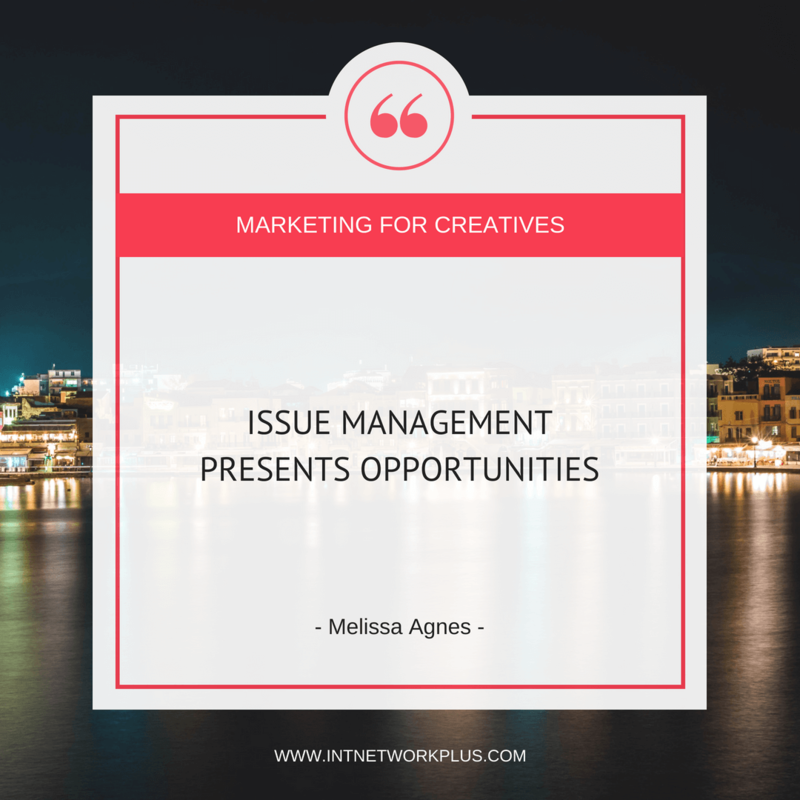 By understanding what those risks are, understanding the difference between an issue and a crisis for your business because you won’t respond the same way to an issue versus a crisis necessarily, you also don’t want to overreact or underreact. By understanding clearly, this scenario would present a crisis for my organization, which means that it would have a long-term negative impact on either me on my customers and my stakeholders on my reputation, the business’s reputation or on the business’s bottom line. Long-term negative impact or effect on those things. Versus an issue is basically my day to day on hyperdrive. A negative event’s drug. Maybe I have a customer complaint that’s going viral that doesn’t present that long-term negative impact, but we still want to manage it right away. It’s really important to understand what these scenarios are for your organization. 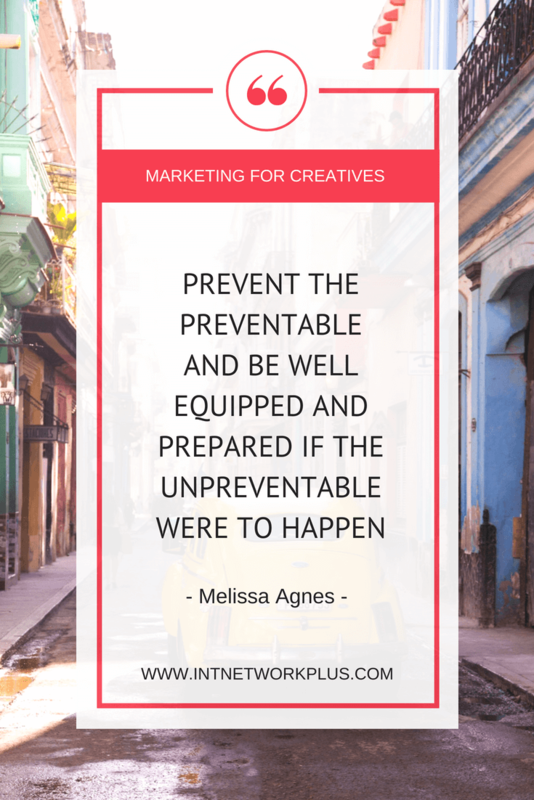 And then what we do is you can find ways to prevent the preventable and be well equipped and prepared if the unpreventable were to happen. Can you give us a few examples of most popular crises for entrepreneurs and how can we prevent them? Or how can we deal with them? So, entrepreneurs, one big one is our own ability to work. We are the owners, we’re the ones who own our livelihood and bring that in. There you can look at, first of all, a healthy lifestyle is always great. That’s kind of the prevent the preventable to the most extent possible. We can’t always prevent the preventable because you don’t know what’s going to happen in five minutes or in 24 hours. Having the appropriate insurances, if something were to happen that you could still pay your bills and you could still live and you can rest easy knowing that that would be your case. That’s a high-risk scenario, a crisis scenario for entrepreneurs. Another one might be a Cybersecurity. Depending on your organization, what kind of data of your clients do you house and are you an easy target? It doesn’t matter, sometimes solopreneurs work with really, really big brands and they may have access to their systems through via portals or they may just house that data through their own systems. They might then become a target because they’re an easy way to access that data, which is a big target for hackers, for example, as a potential. What are you doing to secure the data of your clients and of your customers and of yourself and your business? There are a few different high-risk scenarios that pertain. Then the rest really, you’d have to look at your business. A customer complaint. Or if you’re a small team and your lead salesperson were to pick up and leave tomorrow, would that impact your business? What’s the mitigation strategy there both to retain your key employees and staff as well as to do you know where all of their contact information for all of your customers and clients are house? Can you access that information or is that information only on their cell phone? And if they leave, they leave with it. There’s a high-risk scenario for every business and it’s in looking at, okay, how can we do our best to not let those happen? And if they were to happen, how are we prepared and do we have what we need in order to, you know, in that scenario, if your lead salesperson were to leave and you do have access to all that data and that information to call your clients, you could create message points. You could look and say, okay, our clients really have an attachment with this one person and I’m very hypothetical here. What would we say? How would we commit, and not unretain their confidence in our brand, that we will continue to do whatever we do for them, the way that they love that we do it? I’m really being hypothetical. But to small businesses that counts. We often look at, I think professionals see a crisis as only happening to the big brands. But the reality is that the smaller organizations, the smaller companies, they tend to take the biggest hit because when something negative happens because they’re the most vulnerable and they may not have the financial backing that the United Airlines of this world and the crackpots and all of that that they have. They tend to take the biggest hit. It’s about being crisis ready. 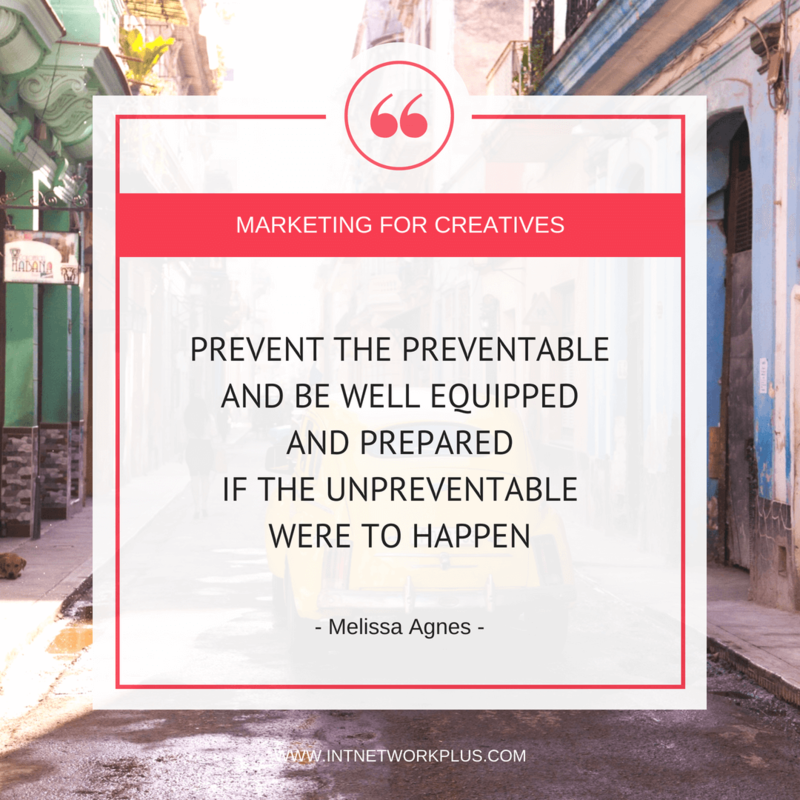 It’s preventing the preventable and being prepared in the event that the unpreventable were to happen. Let’s stop a little bit for a few things which you are talking about. For example, you said you are a workaholic and a lot of people like this, I am myself too. When you are an entrepreneur, especially those who start out and even when you grow, you still work, work, work. Once, who knows, you got sick or some situations happen you are out of the business. How would you prevent those situations? Because maybe you have with your clients booked, maybe you still need to manage the situation. What would you do? How will you get ready for these difficult situations? Ask yourselves those questions. Those are good questions. I talked about insurance to make sure you can still pay your bills and not lose your homes. I can’t answer that specifically because I don’t know the specifics of, it’s very hypothetical. But the answer to your question is to ask those questions, to see those risks and the reality behind the risk. And to have some kind of solution. Or maybe it’s a short-term incapacitation and you’re going to be back. How would you maintain those relationships with those clients? Do you have somebody else? Do you have a partner, a collaborator that you trust that you could bring in that could help you out in those circumstances? Versus a long-term incapacitation where really your business is just going to default. You can’t run the business anymore. In which case, have you built up an exit strategy? There’s a lot of questions to ask, but the essential strategy moving forward is to actually spend some time looking at those questions. It doesn’t have to be all cumbersome either. It can be over a period of time. What would be my risk? What would it be my highest impact? What can I do now to put measures in place to not let that high impact truly truly affect me or impact me and the business? 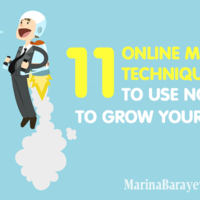 It’s not necessarily… because we don’t have a lot of time as solopreneurs that’s for sure. There are moments though that you can take and you can just kind of start thinking through those things. It’s essential. In my book, Crisis Ready: Building an Invincible Brand in an Uncertain World, that’s what I do. I take readers through beginning to end on what it means and how to become crisis ready. I give the entire roadmap. To me, when you become crisis ready, it means that you can withstand and manage any type of negative events in a way that increases or sustained or increased stakeholder trust and credibility, goodwill in the organization. That is building brand invincibility. Therefore, Crisis Ready: Building an Invincible Brand in an Uncertain World. 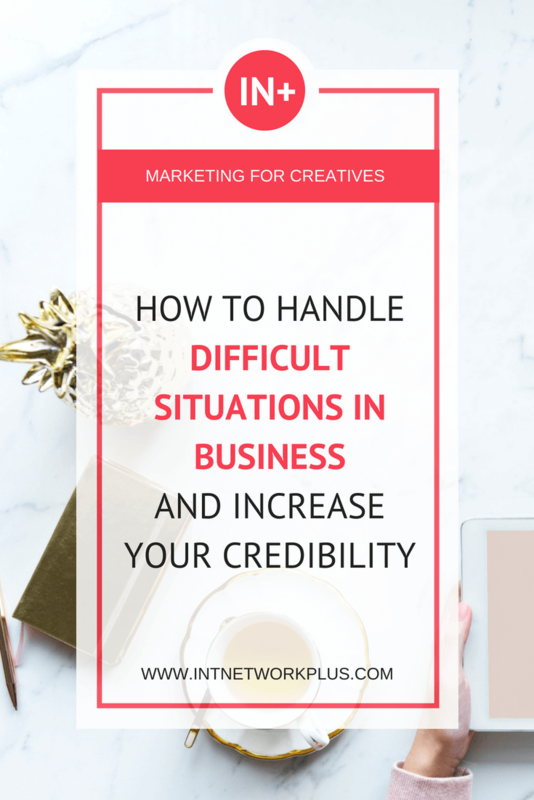 How can we turn those difficult situations that it will increase our authority and credibility? There are a couple things, but some things to look at that you can look at now is the lens through which you see negative events. Do you see a negative event no matter what it is, a customer complaint, mixed up with a vendor, straight through to something greater, something more high impact? Do you see them as annoyances? What’s the lens through which you see them? Because the lens through which we choose to see a negative event directly impacts the actions that we take in response to that event, which then of course directly impacts the results at that event we’ll have on the brand and on the organization, on the business. The lens through which you see something, do you see it as an irritation or do you see it as an opportunity? And when I see an opportunity, I mean an opportunity that connects you closer with those who matter most to your business to really strengthen and build those relationships. That’s what I mean when I say Do you see it as an opportunity? Do you see it as an opportunity to live your values, to show your values, to really connect with those who matter most to your business? That’s one thing to kind of just internal checkpoints. That goes to culture, the culture of your organization, whether your culture is of one or, five or 5,000 like I mentioned earlier. The other thing is to really truly identify what an issue vs a crisis is for your organization and the most likely high impact issues and the most likely high impact crises that you’re vulnerable or prone to that gives you a wonderful advantage in just being aware and also knowing that if something were to happen, you could quickly assess it and say, “Okay, this is an issue. It’s not a crisis. So, I’m going to react this way. And the third thing I’ll say is to really understand, and this is essential, you asked how do we manage incidents in a way that builds credibility, knowing who your stakeholders are. Especially as small businesses and solopreneurs we do business, we have a lot of different touch points that they kind of just go from our day to day. We focused primarily on prospects and our clients. Then we have our vendors from our accountants to our bookkeepers, to what whomever those vendors may be within in conjunction with what your business is. But really understanding the different relationships and the different stakeholders that enable your business to exist and then looking at, drawing out a list of who those stakeholders are, what those stakeholder groups are. Then going through and saying, okay, in high-risk scenario A what would our customers expect of us? What would they demand of us? What can we expect of them? What would they care about? How can we be in a position today that if that were to happen, we can meet those expectations, we could exceed those demands and we can understand and know intrinsically and just in real time instinctively what they care about and how we can show them that we care about that too and here’s what we’re doing to protect them to right or wrong to whatever the case may be in that scenario? Understanding who the people are that matter to our business and understanding, taking time to really think, okay, what do they expect of us and how, if something were to happen in a negative capacity, how could we maintain those relationships and really, truly live our values and not just maintain the relationships but build credibility from it. Come out of the event with our customers, our vendors, our employees and our family, whoever it may be that says, wow, they really had our back. We understand what happened. They were fully transparent with us. We know that they cared. They showed us. They didn’t just tell us that they cared. They showed us that they cared and they did what was right. Now we trust them even further. We were going to shout it from the rooftops that we’re never going to leave this, this brand, this supplier, this whatever the businesses insert into the blank. So, understanding who those people are, what they expect, what they would expect and what would matter to them most in each of those hybrid scenarios. That’s something… I mean you can take a day, literally an afternoon and think that through if you have your high-risk scenarios and it is so, so powerful as a way to maintain and build credibility when something goes wrong. What would you do in this daytime? Would you just think what possible critique situation can happen with your business, difficult situation can happen? How would you be ready for this difficult station? Knowing what they are is the first step and then the same as what we said before is asking yourself the questions around what are they, where would be the impact? So, you brought one up if we get sick, what happens to our clients? It’s asking yourself those questions. That’s the first place. That’s the first thing you have to do if you’re going to be prepared. It is to really understand what the risks and the impact are and on whom, on you, personally, on your business, on your reputation, on your customers and your employees, on your vendors, etc. on your investors if you have investors. It’s sitting down and looking at all of that. And just to start is understand the difference between an issue in a crisis. I’ll give you a definition of an issue versus a crisis to really make that real. A crisis is a negative event or situation that stops business as usual to some extent and it requires your immediate attention. It requires your immediate attention. Everything else holds because the incident or the event threatens long-term negative impact on one or all of the following five things. People, so your stakeholders, internal and/or external; the environment if that one applies to your business; your business operations; your reputation and/or your bottom line. So, it’s a negative event that stops business as usual because it threatens long-term negative impact on people, environment, business operations, reputation and/or bottom line. An issue, on the other hand, is also a negative event or situation, but it doesn’t stop business as usual. It’s like I said earlier, it’s business on hyperdrive, it’s customer service on hyperdrive. It’s sales on hyperdrive. It’s your supply chain or manufacturing on hyperdrive. That’s because it doesn’t have that long-term risk of impact on any one of those five things. So understanding that, understanding what that looks like, what type of situation would actually stop business, as usual, would impact production and operation. So, to the point earlier, if you get ill, that will probably impact production of operation. It will probably also have a long-term impact on whether your employees, if you can’t pay them, to your customers, if you can’t deliver, your reputation if you don’t manage it properly. When you are well again, how do you recoup that? Then it’s really about brainstorming what are the negative scenarios that can happen. Draw out of a list, especially for entrepreneurs, draw out that list and then go through that list. Nothing’s off the table. Unfortunately, today, if you can think it, it can happen. Think of all of the terrible things that keep you up at night or that you’re worried about or that you know if would happen, you’re not ready for it. It would it impact your business. Then categorize them into issue vs crisis. Then over time you can look at each one and you can say, okay, in scenario one, what can we do now to put measures in place to prevent this from happening? To the most extent possible, that’s an action right there. The second action is then, okay, you’re left with the unpreventable. That’s beyond your control. If it were to happen, then what? What do your stakeholders expect of you? How can you meet those expectations? How can you put measures in place now to have the right communications to have the right backup plans or backup suppliers or backup data or backup your systems, etc.? It’s really about sitting down and just putting a time to asking the right questions to yourself and to your team. Then looking at ways to prevent and ways to prepare and ways to understand your stakeholders’ expectations and how you could put yourself and your team, your business in a position to meet and exceed those expectations. Great. We got the homework for people. Sit. Think about it. Get ready. It’s business smart. It really is business smart. It should be a part of business strategy today. So my perspective. Fantastic, Melissa. Thank you so much. 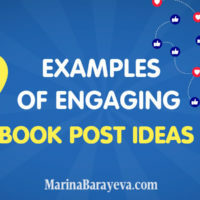 There were great tips and please share with us how can we connect with you, know more about your interesting book, get ready for the crises? Absolutely. MelissaAgnes.com houses everything. From there, I’m all over social. My book is available on Amazon. It’s available on Kindle. It designed for the entire team. So if somebody wanted bulk then you can just get in touch with me and I’ll get you some good bulk pricing. Again, it’s called Crisis Ready: Building an Invincible Brand in an Uncertain World. 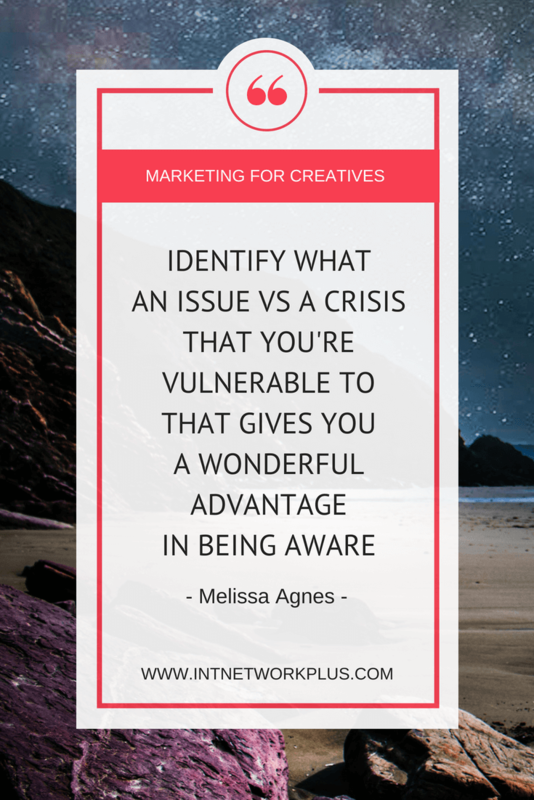 And MelissaAgnes.com is where you can find so many resources about becoming crisis ready that are all freely available there from podcasts, blog posts, to videos, you name it. Fantastic. Thank you so much, Melissa. It was great to have you on the show. Thanks to you, Marina. That was a great conversation.